An ACEO artcard of Richard Dean Anderson as Jack O'Neill, from tv series Stargate SG-1. 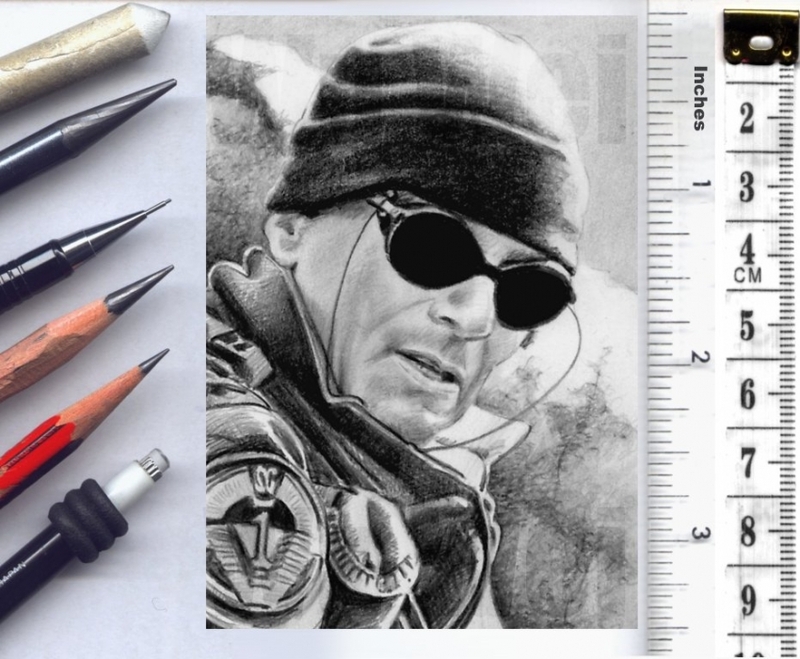 2½x3½ inches (6.3x8.9cm), graphite with marker on bristol. Original card here on Ebay https://www.ebay.co.uk/sch/miniartz/m.html for a couple more hours.